"In a town where nothing ever happens... everything is about to happen to Sully." 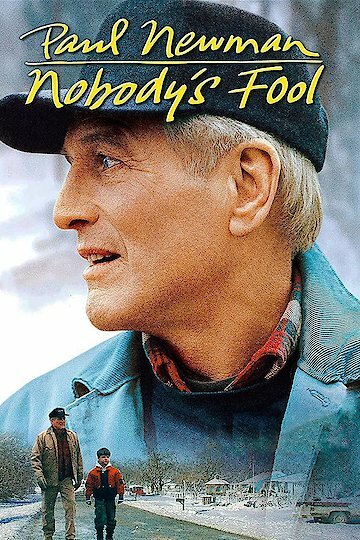 Nobody’s Fool is a 1994 film starring Paul Newman and Bruce Willis and marks the final performance from Jessica Tandy who died shortly after production. It’s a comedy-drama that received strong reviews and performed well at the box office upon its release. In Nobody’s Fool, Donald “Sully” Sullivan (Newman) is a bit of a hustler, nearing retirement after years of running his own construction business. Despite his old age, Sully isn’t afraid to fight, going after a local contractor named Carl (Willis) regarding worker’s compensation for a bad knee and unpaid wages; unfortunately, his lawyer proves to be fairly inept when it comes to winning cases. When he’s not facing Carl in court, Sully likes to irritate him by flirting with his wife (Melanie Griffith), who’s all too happy to receive the attention. Sully also faces the challenge of reconnecting with his estranged son after him and his family move back to town and Sully strikes up an unlikely friendship with his grandson, Will. Meanwhile, his landlord’s (Tandy) son seeks to evict him from his home to make room for a new development. Nobody's Fool is currently available to watch and stream, download, buy on demand at Amazon Prime, Starz, Amazon, Vudu, Google Play, iTunes, YouTube VOD online.